Church House, Hungerford, War Memorial – Dedication Service, 11 Nov 1920. When war broke out, there were 54 members of the Hungerford Church House Library and Club, 25 of these joined His Majesty's Forces, seven of whom will never return. To commemorate them, a tablet has been placed in the club by their fellow members. The unveiling took place on the evening of Armistice Day, in the presence of a large assemblage of members, including the President of the Club (Rev T S Gray), Mr T W Alexander (Deputy Constable of Hungerford), MR H D'O W Astley (Town Clerk), Dr T G Starkey SMith, Messrs W Jacob (hon. treasurer), J McDade and R D Newhook (hon. and assist. secretaries), B Crosbie-Hill, Morley Slade, A G Bartholomew, H F Taylor, J E Mills, A H Bingham, E W Munford, F Gore, E Cowell Townshend, H New, B J King, P Jessett, W Gibbs, R Childs, F Johnson and F A Batt. After a short prayer, the unveiling ceremony was performed by the President, who, in the course of an address, said the social life of a club like theirs was largely a matter of routine, but that night they had gathered together on an occasion unforeseen a few years ago. The Great War had laid upon them its ruthless hand. Out of a membership of 54, 25 had served in His Majesty's Forces, and they were proud to think of their ancient town, whose prowess was well-known in history, which showed that at the battle of Crecy, the Archers of Hungerford proved themselves men of valour, and now on the battlefields of France, Belgium, Italy, Palestine, Salonika, Egypt and Mesopotamia men of Hungerford had played their part and shared in the great victory. Seven of them had given all that man could give. Within those walls they wished to keep their memory evergreen and fresh, and so to-night they were dedicating the tablet to their honour; not that they thought it worthy of them, for the club itself was one of the memorials. Thanks to them, England and her Empire, her sons and daughters, had freedom and peace. These men and their gallant comrades had left them a legacy, and it was their part, in however humble a sphere, to pray and work for the Empire's prosperity and glory. Let them strive to do that, and to see that the names of those seven heroes were never forgotten in effectionate memory and honour. Mr T W Alexander, the Deputy Constable, said he had been asked by the Constable (Dr Dickson), whose absence from home prevented him from being present, to express on behalf of the town their appreciation and gratitude to the fallen. They were all personally known to him, and he felt it a great honour to be allowed to take part in the ceremony. It was announced by the Hon. 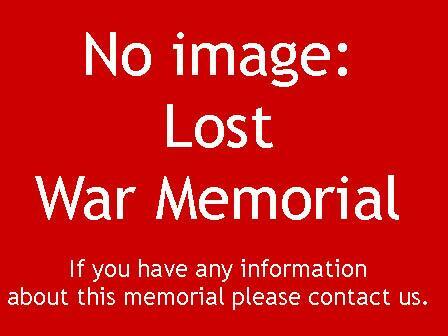 Secretary that a photograph had been taken of the tablet, and a copy sent to the relatives of the fallen men. After prayers, the Last Post was sounded by Deputy Bandmaster F Pike.